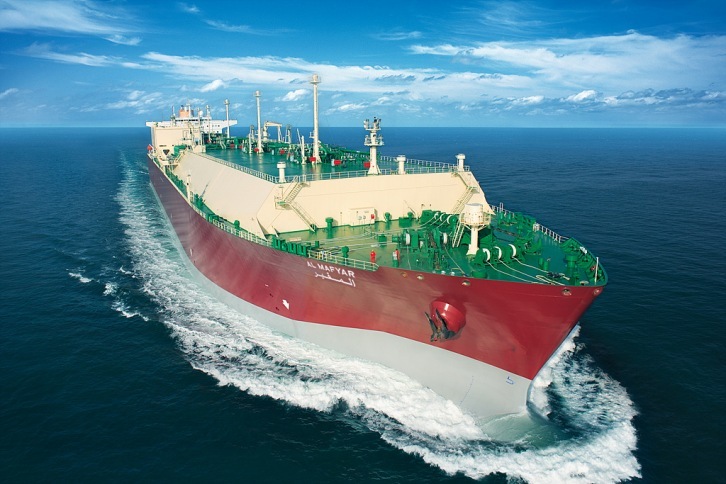 • SHI and an European shipping company ink a deal to build two LNG carriers adopting SHI's own eco-friendly·Smart ship technologies. • SHI increase its new order target of $7.8bn this year and will strive to gain greater profitability. SHI revealed on January 29th that it won a deal for two 180,000 m2 LNG carriers form Europe's Celsius Tankers. The LNG carriers will be fitted with SHI's developed eco-friendly and Smart ship technologies: SAVER Air and INTELLIMAN Ship. This will help to respond to the upcoming environmantal regulations and significantly increase energy saving, thereby further increasing the operational efficiency of vessels. SAVER Air, one of SHI's flagship eco-friendly technologies, is a type of an energy saving device, which reduces the friction between seawater by blowing air onto the bottom of a ship hull to improve fuel efficiency. The technology is expected to save 5 percent on fuel irrespective of the external environment such as waves and current, which will add up to a year's fuel cost if the ship runs 20 years. In addition, SHI's own smart ship solution, INTELLIMAN (INTELLIgent & Lifecycle-MANged) Ship, applied to the carriers can effectively respond to the emission regulations such as EU-MRV and IMO-DCS. Through this smart ship solution, operators can measure and monitor fuel consumption and CO2 emissions for ships in operation on a real-time basis. As accurate operation reports can be automatically created based on the accumaluated data, the reliability of the data is very high. The EU MRV (Monitoring, Reporting, Verification) regulation entered into force on 1 July 2015. and it requires ship owners and operators to annually monitor, report and verify CO2 emissions for vessels larger than 5,000 gross tonnage(GT) calling at any EU port. IMO's fuel Data Collection System(DCS) starts on 1 January 2019 that applies to ships of 5,000 gross tonnage and above calling at any port under the jurisdiction of EU member states to enforce the reduction of emissions from ships. This year, SHI sets $7.8billion new order target for 2019, up 24 percent over the last year's orders as the new building market is picking up all over the world, particularly for LNG ships and container ships. "In order to achieve our 2019 new order target, all the divisions, including Engineering, R&D, Marketing, Production, etc. do everything possible to develop technolohy, reduce costs, and enhance customer satisfaction" said an official from SHI. "We will make sure to improve both the quality and quantity of new orders by clinching deals for high-value added vessels with higher profitability such as LNG carrier".